Though the Rolling Stones' rowdy Exile on Main Street recording sessions have previously been explored in documentaries, the debauched time period will now be the focus of an upcoming feature film. Virgin Group magnate Richard Branson has announced he's acquired the rights to Robert Greenfield's 2006 tome Exile on Main Street: A Season in Hell with the Rolling Stones, with plans to bring the story to the big screen. While yielding classic tracks like "Tumbling Dice" and "Happy," the double album came out of notoriously chaotic circumstances. The band had fled Britain in the early '70s to evade UK taxmen, and set up shop at the Villa Nellcôte in the south of France to record. Sessions took place all day and night, featured a rotating cast of musicians, and were reportedly recorded in the midst of an excessive amount of drink and drug. 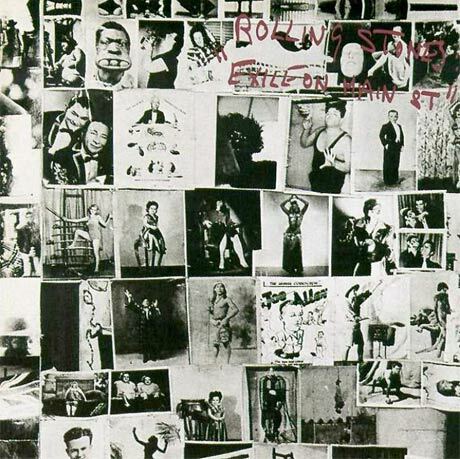 It's anticipated the flick will focus on the relationship between vocalist Mick Jagger and guitarist Keith Richards, which was allegedly at a low during the sessions, but could also focus on the hard-partying aspect of the era, as well as the flow of celebrities that passed through Villa Nellcôte, including William S. Burroughs and Gram Parsons. Casting choices have yet to be made, and Branson has yet to announce a director for the project. Other explorations of the Exile-era Stones include Stephen Kijak's 2010 documentary Stones in Exile, which coincided with a deluxe re-release of the album, and Robert Frank's tour doc Cocksucker Blues, which followed the band on a North American tour in support of the original set. Thanks to Playlist for the tip.